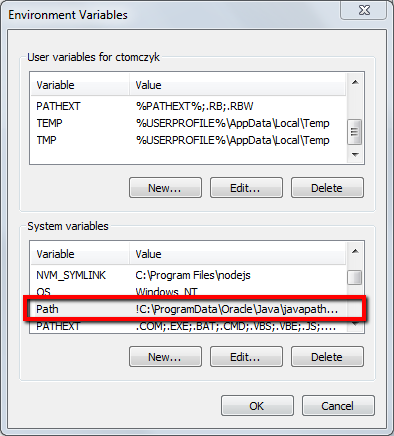 There could be a situation where we want to add new path to the Path environment variable using batch script. Let’s say you have a directory build/commands and you want to add this path to the Windows Path environment variable. To run it simply execute from command line: elevate setpath.bat. This should work in Windows XP and up. If your execution path is, for example, C:\Projects\Test, then running above script would add following path to the PATH environment: C:\Projects\Test\build\commands. Note: do not forget to restart Windows in order to apply changes. At least that’s what’s working for me. Before you add comment see for rules. A truly innovative project does not give 100 percent guarantee success, but 90 percent a guarantee of failure. In science, when we have an idea, we try to prove it wrong as well as right. This is an essential feature of scientific skepticism that helps us avoid the trap of interpreting accidental coincidences as significant results.